To avail exciting offers on D-Link products check out dlink India offers. The D-Link Corporation is a Taiwanese networking equipment manufacturing company. The company is headquartered in Taipei, Taiwan. It was established in March 1986 in Taipei, initially known as Datex Systems Inc. Their products are aimed to meet both businesses as well as consumer needs. Some of the consumer related products include consumer broadband devices, wireless devices and Digital Home devices (which includes devices like the d link wifi modem, storage, media players, and surveillance camera/NVR). You can check out D-Link products from various e-commerce websites. To avail exciting offers on D-Link products check out dlink India offers. 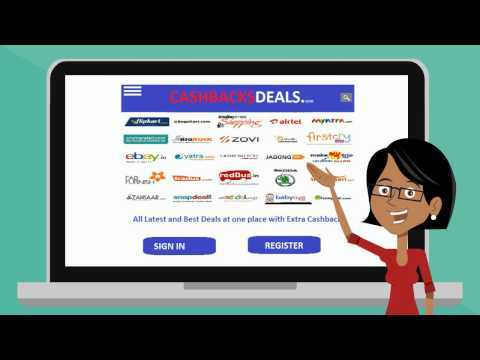 At CashbacksDeals , compare the prices and select your product. Also, avail additional cash back offers. D-Link Corporation is headquartered in Taipei, Taiwan. It is a Taiwanese networking equipment manufacturing company. It was established in March 1986 in Taipei, originally known as Datex Systems Inc. The firm had a humble beginning, it initially began as a network adapter vendor and later ventured into other fields like designing, developing, and manufacturing of networking solutions for both the business and the consumer markets. The firm initially named as Datex Systems Inc., changed its name to D-Link in the year 1994. This step was taken when the firm went public and when it became the very first multinational networking company on the - Taiwan Stock Exchange. The company was founded by 7 individuals including Mr Ken Kao, the late Chairman of D-Link. In the year 2007, it was one of the leading networking company in the (SMB) small-to-medium business segment throughout the world with a remarkable 21.9% of market share. In March 2008, it then became the worldwide market leader in Wi-Fi product shipments, with an impressive 33% of market shares. Interestingly in the year 2007, the firm was featured in the prestigious - Info Tech 100, (which has a listing of the world's best 100 IT companies). Its success doesn’t end here, it was also ranked 9th by BusinessWeek as the world’s best IT company. It goes without saying that the D-Link's products are geared towards networking & communications market. Its products are aimed to meet the business and consumer needs. The products which are aimed towards business include surveillance network, switches, cameras, iSCSI SANs, firewalls and business wireless. On the other hand, the consumer products include consumer broadband devices, wireless devices and Digital Home devices (which includes d link wifi modem, storage, media players, and surveillance camera/NVR). You can check out D-Link products from various e-commerce websites and also see their flagship product price, which is d link wifi router price from these websites. To avail exciting offers on D-Link products check out Dlink India offers. The D-Link products are pretty affordable, for eg. The d link router price is pretty reasonable. Check out dlink 868l Gaming Cloud Router specifications along with the price.